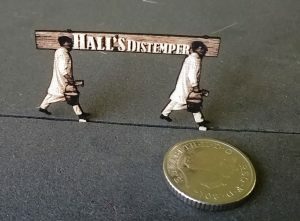 Halls Distemper advertising hoarding in N Scale. When I was a lad in the 50’s these advertising hoardings were strategically placed in fields alongside main railway lines. The one I particularly remember was on the north side of the GWR main line west of Reading. 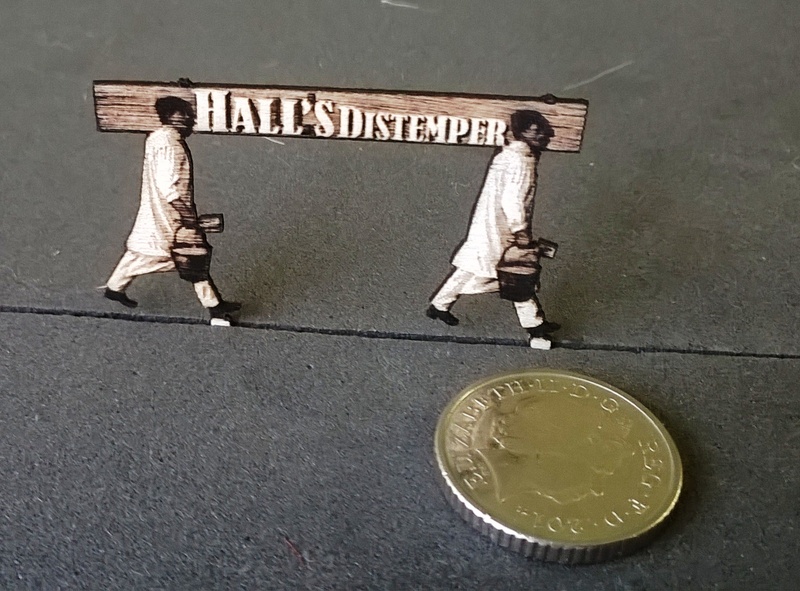 They were about 2.5 times life size. On browsing the internet I came across this image. A quick play with coral draw and the laser and I came up with this. Ready to paint and ready to plant.